KID’S SKI FREE ON RACE DAY! Buy an adult lift ticket at Lake Louise Ski Resort, get two free for kids 12 and under, kids must be present. ​KIDS CAN LEARN TO SKI FREE TOO! Each Saturday and Sunday of the men’s and ladies’ events the Lake Louise Ski Resort will give a free ski lesson to beginners 12 and under. Kids must be a least three years old. 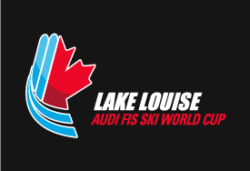 The Lake Louise Ski School’s most amazing instructors will be on hand to give up to 50 enthusiastic kids a FREE SKI LESSON. You must be a beginner and you have to want to give it your best! helmet on, boots on, skies and poles in hand – smiling and excited! kids will be able to watch the races, get athlete autographs and roast marshmallows! If you need rentals remember to consider the Lake Louise Ski Resort rental shop – it’s open at 8 am daily.